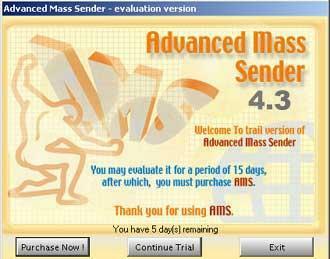 Advanced Mass Sender is a free trial software application from the Other subcategory, part of the Network & Internet category. The app is currently available in English and it was last updated on 2003-01-13. The program can be installed on Windows.